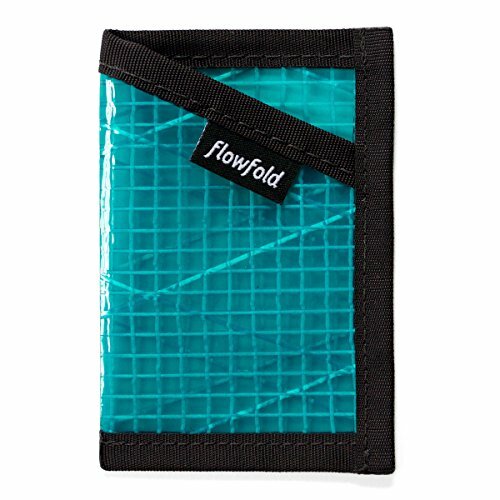 Flowfold's ultra thin wallets are designed to fit comfortably in your front or back pocket. Flowfold wallets are made from repurposed Carbon Fiber and Kevllar racing sailcloths which has several times the tensile strength of steel. This high-tech racing material is so lightweight that Flowfold wallets will float in water even when full of cash and cards. All Flowfold products are hand sewn in Maine, USA and come with the Flowfold warranty. Carry the Future.